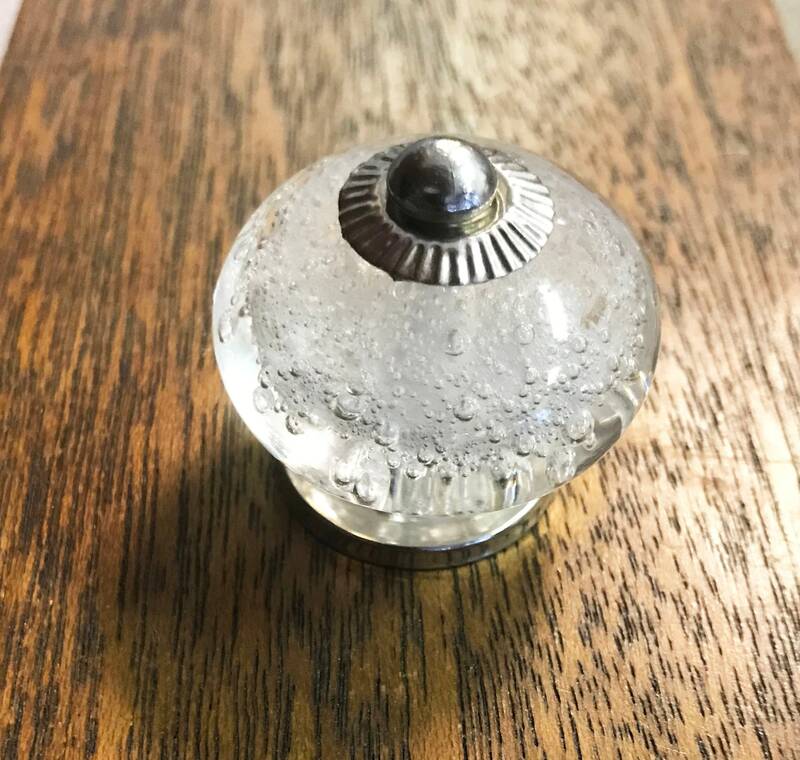 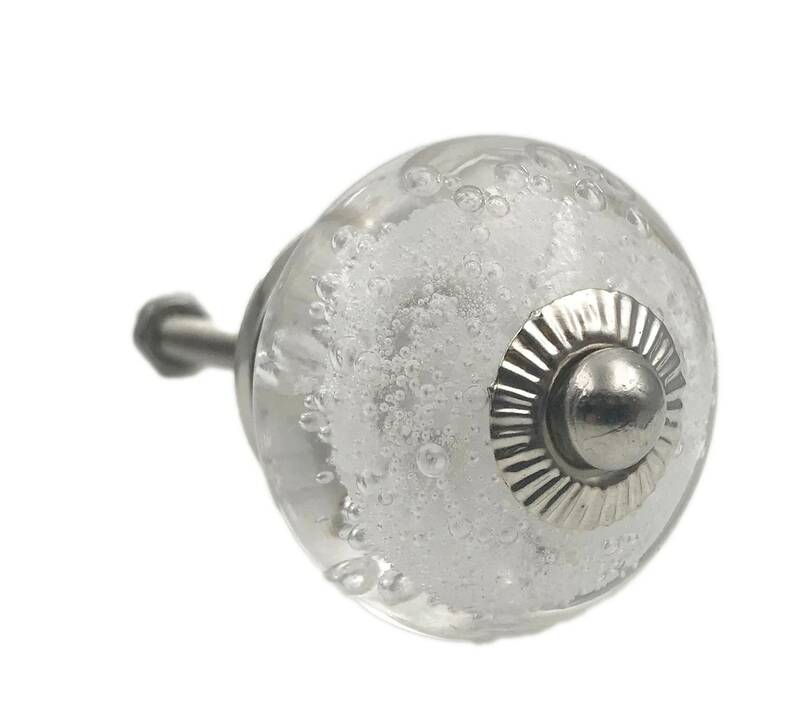 Clear Glass Bubbles Dresser Knob, Cabinet or Drawer Knob. 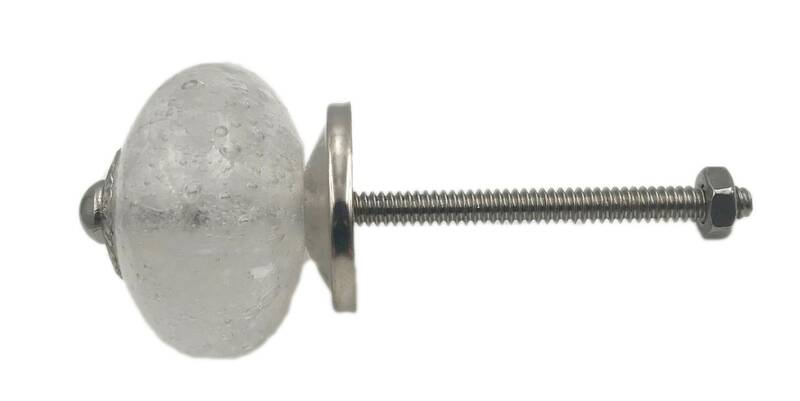 Bolt is removable. 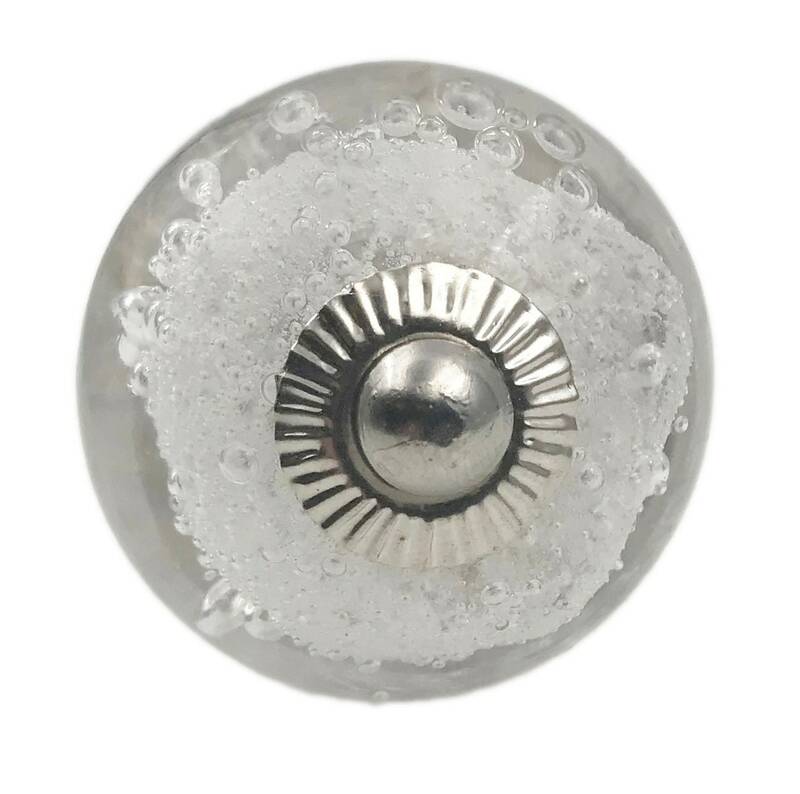 Chrome Hardware.